Most cities in Italy are full of historical and cultural landmarks. Unfortunately, when you are on a very short trips such as a weekend city break or a long layover, choosing your activities is hard. 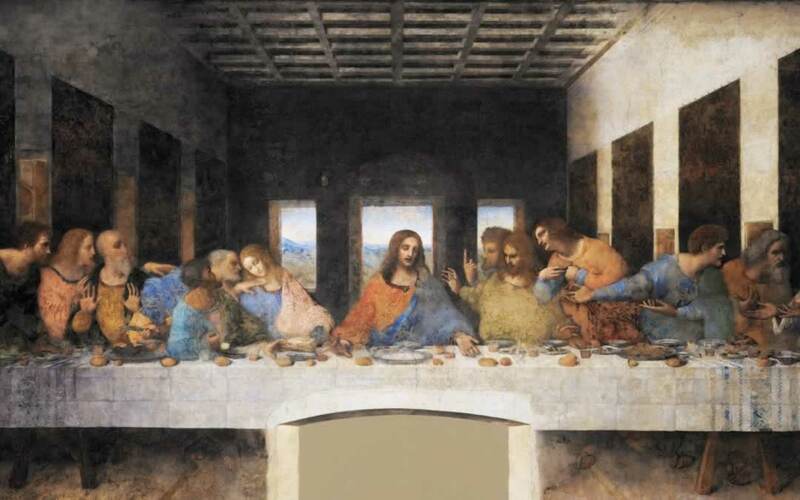 This is what happened to me in Milan, when I wanted to see The Last Supper, the famous wall painting by Leonardo Da Vinci. I ended up empty handed, as the museum was closed by the time I got there during my one day Milan sightseeing tour. I’ll save it for the next time. I might even buy The Last Supper tickets in advance. Hopefully, this article will help you make the most out of your Milan sightseeing experience. Some of these suggestions are part of more comprehensive Milan art tours, while others are dedicated to vising the Church of Santa Maria delle Grazie, where this famous painting by Leonardo da Vinci is. There are tours that take two hours, but also shorter ones, of 45 or even 30 minutes. You’ll find below a full list of tours with their features and with links to book them. The Last Supper is one of the must-see things in Milan. Where Is the Church of Santa Maria delle Grazie in Milan? The visits to the refectory where the mural painting is are timed to only 15 minutes, so you won’t be able to spend half day in front of this masterpiece. However, the allotted 15 minutes should be enough for you to enjoy this wall painting of the Renaissance and to learn everything about its history. You won’t be allowed inside the church with bulky backpacks or large bags, water bottles, and food. There are some small lockers where you’ll be able to store some of your personal items. Flash photography is not permitted. A wide aperture lens would be best for taking some good photos of the wall painting. Located on Via Fratelli Ruffini, Santa Maria delle Grazie isn’t exactly in the center on Milan. Nonetheless, if you want, you can walk to it from the Duomo; just go to Sforzesco Caste, cross Parco Sempione, and take the exit gate to Triennale Di Milano. 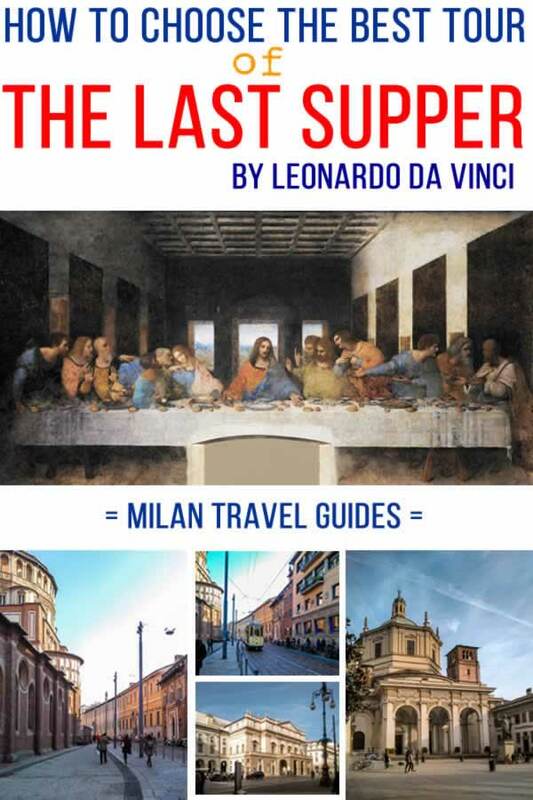 If time allows, you can take this self-guided tour of Milan to see more than Leonardo Da Vinci’s The Last Supper. This tour of Milan starts from Santa Maria delle Grazie. It includes ‘skip the line’ The Last Supper Tickets, Sforza Castle and its park, Piazza dei Mercanti, the famous La Scala Theater, the Galleria Vittorio Emmanuele II, and the Duomo. This is a 3-hour guided tour that will take you through one of the most beautiful parts of Milan. It involves a lot of walking, so ensure you wear comfortable shoes and you have some water with you. There will be a coffee break, though. This tour doesn’t include admission to the Duomo. You’ll only enjoy the facades of the Duomo and of La Scala. If you want to enter the Duomo, you may want to take a look at the next tour on this list. 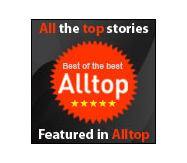 Click here to see the price and to book this tour. This is a three-hour guided walking tour of the best tourist attractions in Milan. You’ll start from Piazza Santa Maria delle Grazie. You’ll get your skip-the-line tickets to the Last Supper and you’ll visit the church together with your guide. After the visit, you’ll head over to La Scala to admire its impressive facade and to learn a few facts about this wonderful buildings. The next on the list is the Milan Duomo. You’ll get your special access tickets to the roof of this impressive masterpiece of Gothic architecture. The guide will explain you how the roof was built and will reveal various details and facts about this massive construction. This tour also includes a ticket to the Baptistery of San Giovanni, underground cathedral. Click here to see the price as of today Friday, April 26th 2019 and to book this walking tour of Milan. If you don’t feel like waking for so many hours, you can choose this tour that includes only the timed visit to the Last Supper. You’ll benefit from the services of a professional guide and from the skip-the-line facility. 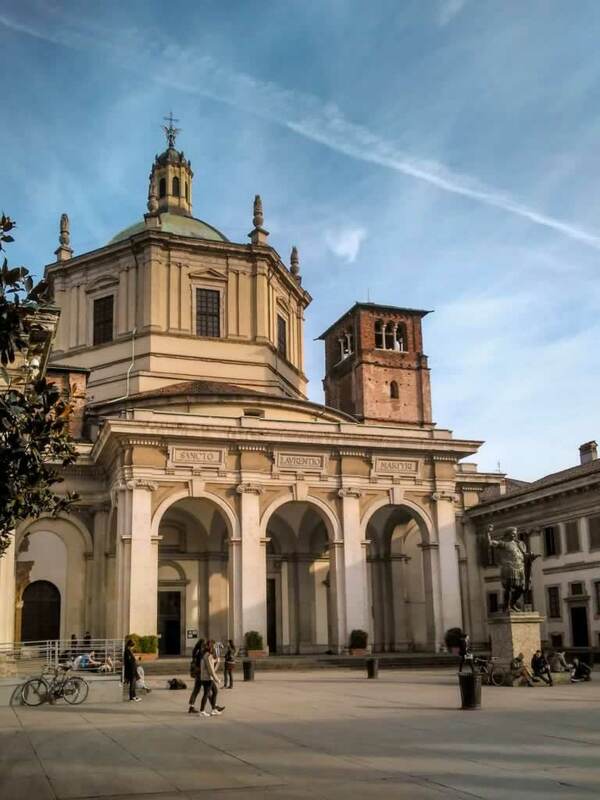 The guide will reveal interesting facts about the church of Santa Maria delle Grazie and its refectory with The Last Supper. Click here to see the prices as of today, Friday, April 26th 2019 and to book your tour. This 45-minute tour focuses on Santa Maria delle Grazie and on the Last Supper mural painting. 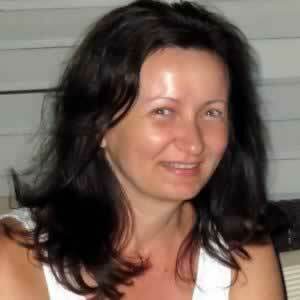 You’ll benefit from priority entrance and of English language expert guidance. The actual tour takes about 30 minutes, but you’ll need to show up 15 minutes early to meet your guide and to get your tickets. The difference between this tour and the previous one is that the introduction is shorter. 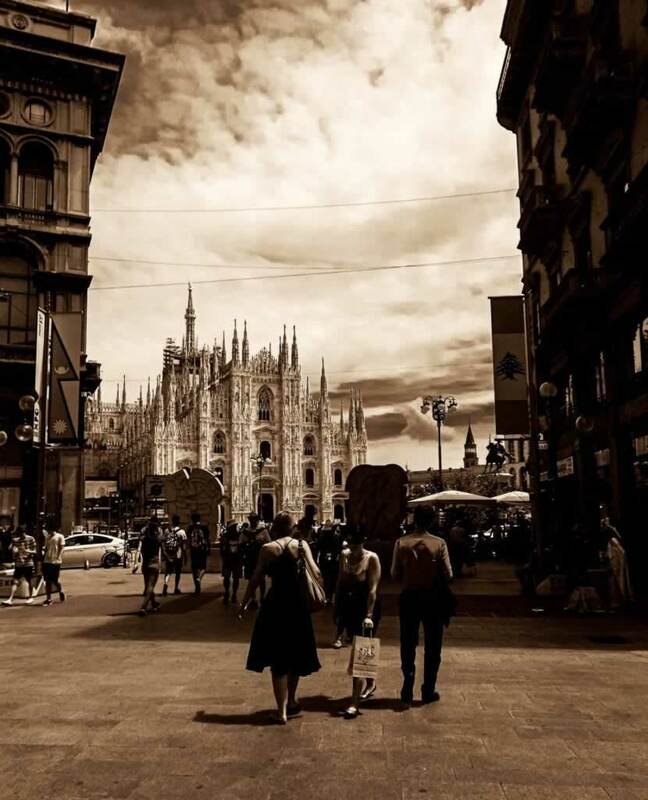 It suits best those who want to keep their visits to the most important monuments of Milan sweet and short, without missing on professional guidance from a local expert. Your guide will walk you through the Renaissance period in Italy. You’ll learn how the Duke of Milan at that time commissioned Leonardo Da Vinci to paint this mural. You’ll get a glimpse of the possible meaning of the various items in the painting. Start by defining your priorities for the day. 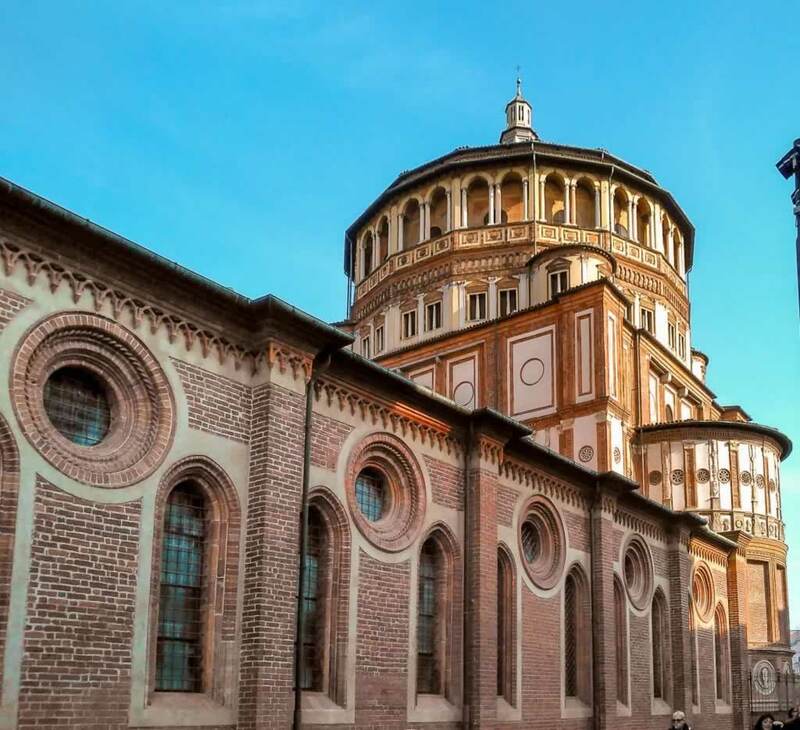 If you’ve already visited Milan, you’ll probably want to get one of the tours that focus solely on visiting Santa Maria delle Grazie and the famous painting of Leonardo da Vinci. If you already know some facts about Renaissance and about the Italian artists of the time, you can choose the shortest of the tours, which only takes 30 minutes or the 45-minute one, here. If you want to hear more facts, directly from a local expert and licensed guide, take the 1-hour tour. All the above mentioned tours are wheelchair-friendly. If you haven’t visited Milan yet, it’s best to choose one of the walking tours that include The Last Supper tickets and guided visit. You can find these two options here (tour without the Duomo rooftop) and here (tour with access to the three levels of the Duomo Terrace & Rooftop). While you can always go and buy your The Last Supper tickets by yourself, you won’t have the expert guidance which is so nice and useful. You’ll probably save a few dollars, but you’ll have to research all historical facts by yourself. What is your preferred way to visit such cultural objectives?